So you’ve decided to move into a residence soon! You’re likely feeling excited and looking forward to enjoying your new lifestyle, but probably also nervous and concerned about everything you have to do to prepare for the move. Having each step of the moving process well planned and prepared for will make the whole move much easier and more pleasant and will prevent any unwelcome surprises. We’ve put together some tips for making the transition as smooth as possible. When will your new apartment become available? Do you have to reserve an elevator at your future residence? If so, when is it available? Are there particular days or hours reserved for moves at your current home or new residence? When will the most friends and family be available to help you get settled in? Who can help with the move into a residence? Would it be beneficial to rent a truck? Do you have transport carts or dollies available to you? 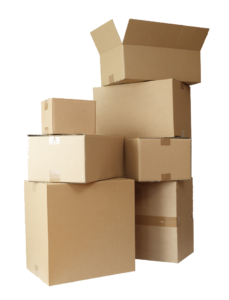 Do you have enough boxes for your things, or will you need to get more? Request quotes from a number of different companies to compare costs and available services. Ask friends and family for recommendations. You will likely have more confidence in a company that comes highly recommended by someone you know. Make sure that the company has a large enough team for your things—you’ll save time and money. Check what is included when requesting a quote. Protective covers for your furniture, wardrobe boxes, and protective mats for your floors are the kind of details that make all the difference! Moving into a residence often means moving into a smaller home with less storage space. For this reason, it’s important to sort through your belongings so that you can optimize your new living space, making it as pleasant and welcoming as it is functional. It also means you won’t have to pay your movers to transport furniture or other items you no longer use. Take this opportunity to give items to loved ones who will appreciate them or donate them to someone in need. 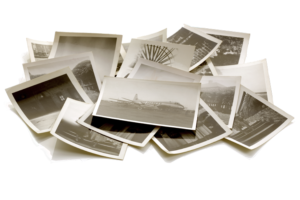 There are also numerous charitable organizations that will happily find your old belongings a new home. Knowing the dimensions of your new apartment is always useful when planning how to arrange your furniture, what curtains you need to buy, etc. Ask the residence’s staff for a floor plan of your future apartment. If a floor plan isn’t available and/or you wish to take the measurements of your unit before moving in, you may have to make an appointment with the residence staff so they can accompany you. Each residence follows its own procedure for these situations; feel free to ask your residence any questions you may have. Label your boxes BEFORE the movers arrive. Write the room name and a short description of items on each box. Pack an overnight bag with everything you would bring for a weekend away: clothing, important toiletries, medication, etc. This will prevent you from having to search through boxes at the end of a long day! Reserve an arrival time with the residence to ensure easy access to the building, the elevator, etc. Plan for a lunch break during the day, and be sure to stay hydrated, especially if you are moving in the summer. Since residence staff is not authorized to receive furniture deliveries on your behalf, you must be present to acknowledge that the right items have been delivered in good condition, etc. Therefore, we suggest choosing a delivery date after your moving date. 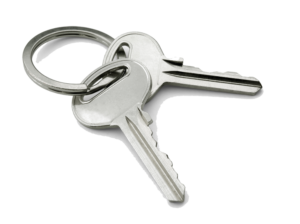 Your keys, electronic access cards, and remote controls for the garage will be issued the day you move in. Simply visit the residence’s reception when you arrive, and we will be happy to provide all the details and answer any questions. Although moving into a residence is an exciting transition for most people, we know that the move itself requires a great deal of energy. For this reason, we’ll give you two free meal coupons (per resident) on the day you arrive, as well as two coupons for your friends or family. Instead of cooking and washing dishes, you can focus on setting up your new home!